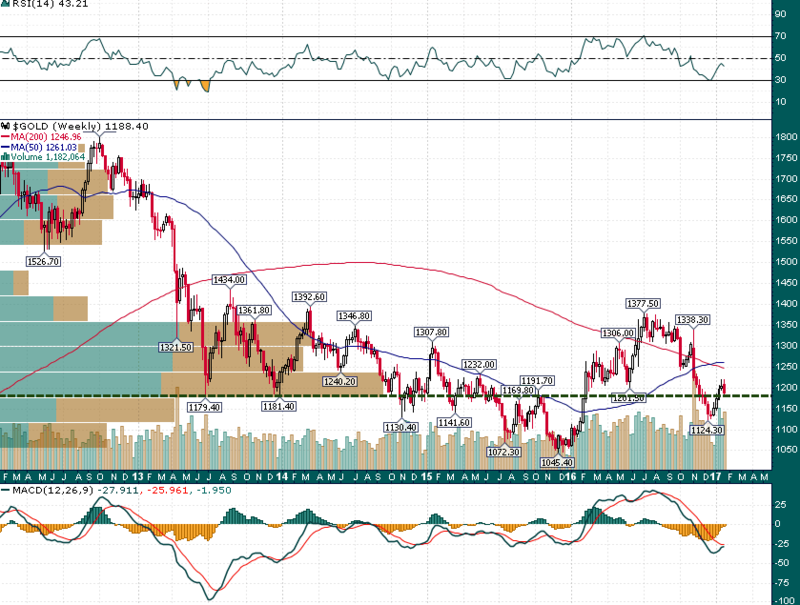 Gold Mining Shares Outperform As Gold Finds Support | Energy and Gold Ltd. The fact that gold analysts can remain bullish on the yellow metal while acknowledging that we are in a strong dollar and rising rate environment is noteworthy in itself. The possibility that we are NOT in a rising rate environment (yields may have topped last month) and that the US dollar may have seen its high for quite some time offer an especially bullish bonus. After a steady nearly $100/oz rally which lasted more than a month, a four day pullback to shake loose some weak handed bulls and reset market expectations is completely normal and healthy. 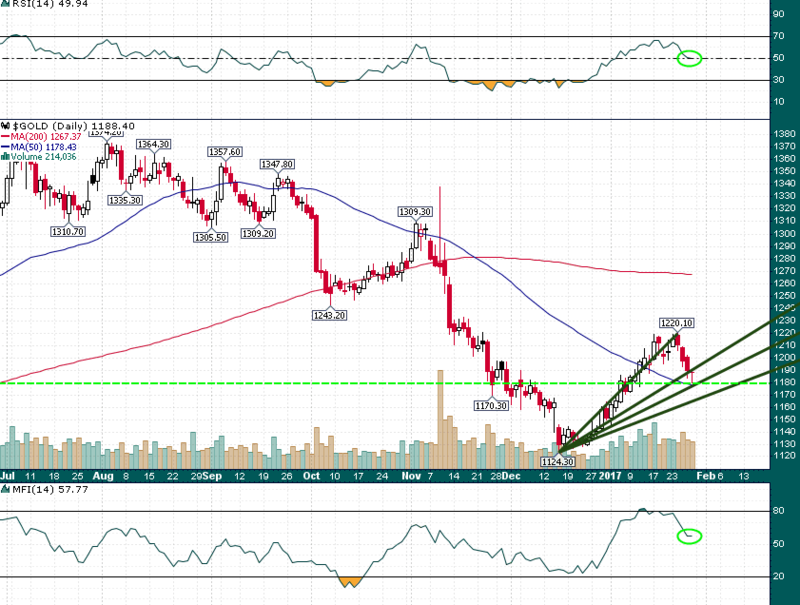 The fact that Relative Strength (RSI) and Money Flow (MFI), both highlighted with green circles, pulled back near the median line add weight to the idea that this morning’s low marked the end of the pullback and gold prices should head back up to retest $1220 over the next couple of weeks. $1220 now represents important short term resistance with a much bigger level above at $1250. While gold has risen 3.2% thus far in 2017, the GDXJ (Jr Gold Miners ETF) is up 16.9% and the GDX is up 11%! Silver has also more than doubled gold’s performance with a 7.2% gain year-to-date. 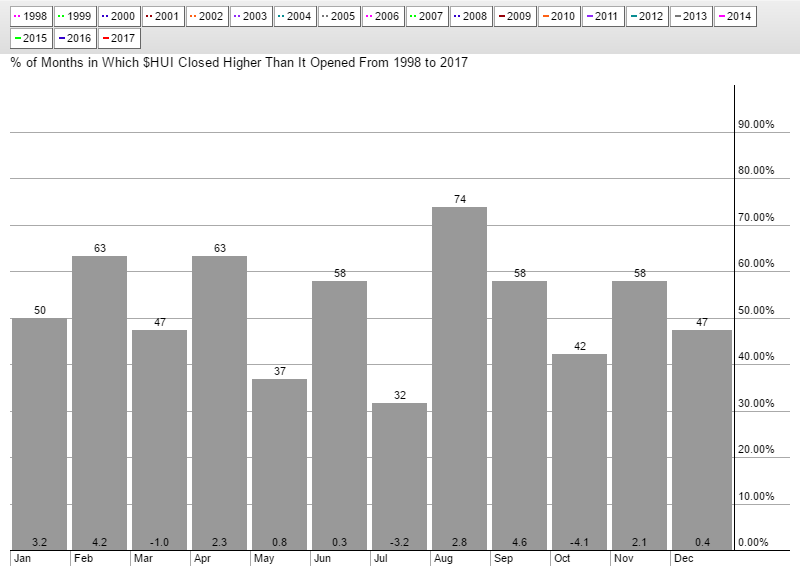 These are strong indications that risk appetite is returning to the precious metals space; we have seen similar outperformance of mining shares at the beginning of previous bull market cycles (2009, 2016, etc. ).